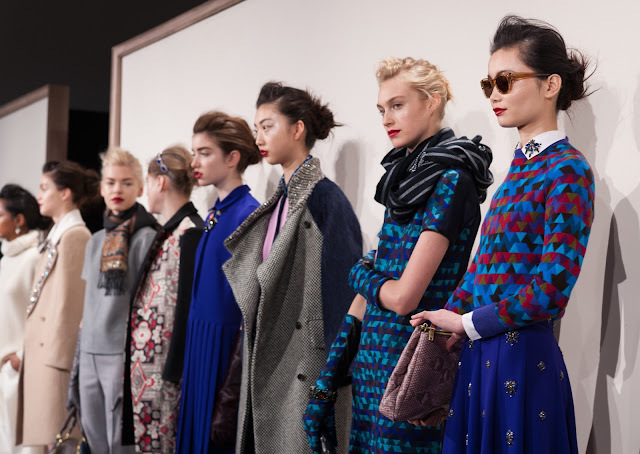 Here are some pictures from their AW13 show this week in New York, which debuts the first available collection in the UK later in the year... I was glued to their Tumblr page which they used to camera roll the presentation as it went on... I cannot wait to get my hands on the geometric print coat in the first picture (far right) and the camel coat with the embellishment on the collar in the picture above on the far left. 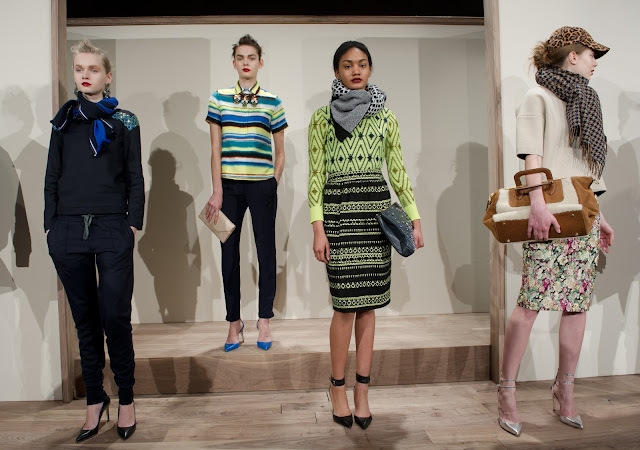 For now, we have to rely on J Crew's online site to feed the urge - shipping is awesome and I love the service... Roll on the summer and the new store! Gorgeous pics, looks like a stunning collection! I am in Dublin so I think a wee trip to London to check out the new store will be in order! Everything about this collection is perfect. Love the photos really like the colours from the collection in the second photo. I cannot wait for the J.Crew store to open in London! I am an admirer of this label and check their website weekly, but see the clothes 'live' is another experience that I hope to do very soon! Loving the prints & excited for their store opening too! Trousers with racer stripes - something I am so pleased to see!